Bring your Big Boat...the dock features a 30,0000 lb boat lift!! 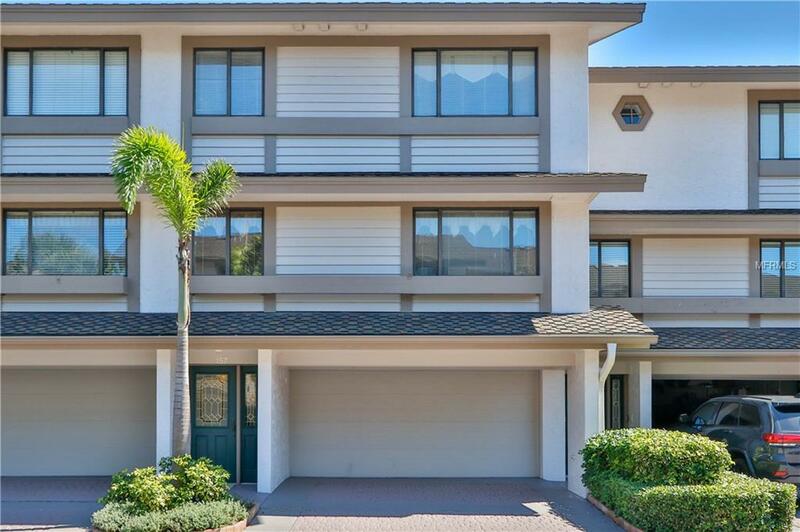 This lovely waterfront townhome is a boater's dream! The property has a southern exposure and very low monthly maintenance fees!! The interior is light and bright with beautiful new hardwood floors. The kitchen has wood cabinets, granite counter tops, an island and a breakfast nook. The living room/dining combo and balcony area are perfect for entertaining while enjoying the exquisite water views!! The large master bedroom/bath and 2nd bedroom/bath along with 3rd bedroom are a few steps up to the 3rd floor. The Master suite has a walk in closet and a nook perfect for reading or a small office. The home has a newer A/C and a professionally installed chair lift. This is waterfront living at it's best. You will have the beautiful views of Clearwater Harbor, the ability to jump on your boat and cruise the Clearwater Harbor or the inter-coastal waterway which has easy access to the Gulf of Mexico! Stroll across the boulevard to sink your toes in the sugar sand of Sand Key Beach and watch the stunning sunsets!! Enjoy the easy lifestyle of living in the pristine waterfront community of Marina Del Rey that boast of great neighbors, a heated community pool and just steps to one of the most beautiful beaches in the world. Walk, ride your bikes or jump on the Jolly Trolley to shopping & dining right up Gulf Blvd. The furniture is available for sale....See this beautifully maintained home today!! Listing provided courtesy of Excel Realty Of Florida.